His power: He can do pretty much anything. He can transfer his consciousness to new bodies, which basically makes him immortal, and has a healing factor, superstrength, teleportation, telekinesis, telepathy, and the ability to enhance the powers of other mutants (and give them killer makeovers in the process). 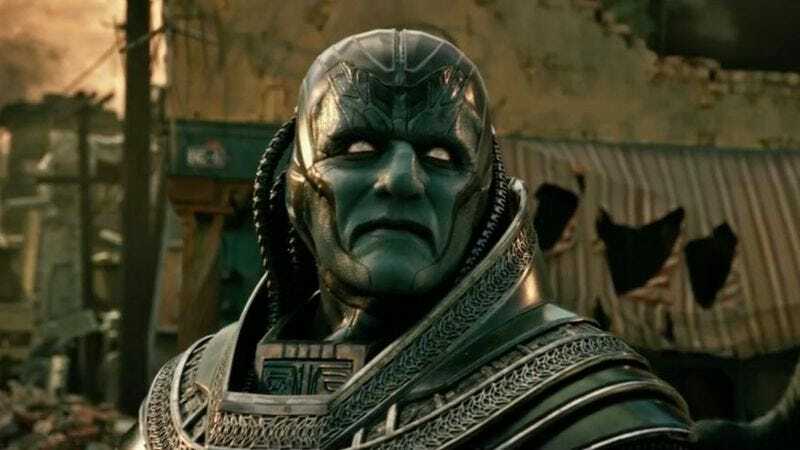 His story: The post-credits scene of X-Men: Days Of Future Past revealed that this ancient Egyptian mutant was responsible for building the pyramids, and while En Sabah Nur was worshiped as a god, his followers eventually turned on him in the opening flashback of X-Men: Apocalypse. What happens between those two movies isn’t revealed, but Moira MacTaggert believes that Apocalypse is responsible for the rise and fall of most ancient civilizations. He’s not so much a character as he is an apocalyptic force of nature, and when he’s revived in 1983, he decides that it’s time to wipe the Earth clean and start afresh. He recruits Storm, Archangel, Psylocke, and Magneto as his four horsemen, and is the latest villain to kidnap Professor X, whose psychic abilities will make Apocalypse unstoppable when he transfers his consciousness into Xavier’s mind and body. Magneto and Storm both turn against their purple master in the midst of their fight with the X-Men, and the combined might of Magneto and new X-Man Jean Grey accomplishes what time could not when Apocalypse is stripped of his armor and disintegrated by the Phoenix. Currently, Apocalypse is: Presumably dead, but he could have survived the Phoenix’s attack, given his immortality up until now. Where will we see him next? There are no plans for Apocalypse to appear in future X-films, and the XMU won’t suffer if Apocalypse disappears for another couple millennia.